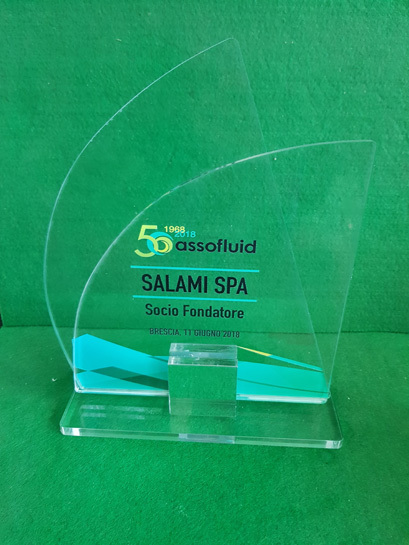 On June 11th, in the prestigious atmosphere of Palazzo Fenaroli in Brescia (close to Milan), it was held the celebration for the 50th anniversary of the foundation of Assofluid – the Italian Hydraulic trade association. On this occasion, Salami Spa has been awarded as one of the founding companies of the association. A celebrative video has also been presented containing among others, an interview to our President Giuseppe Salami. The video may be seen through the Assofluid official youtube channel and on their internet site www.assofluid.it. 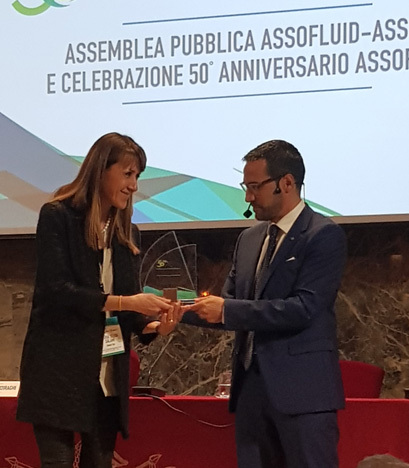 In these pictures, you may find our Vice President Maria Silvia Salami receiving the price from the hands of Assofluid President Domenico Di Monte. We at Salami are all very proud for this. It is a further example of how solid our background is. We use this as the base to work everyday for a better future.